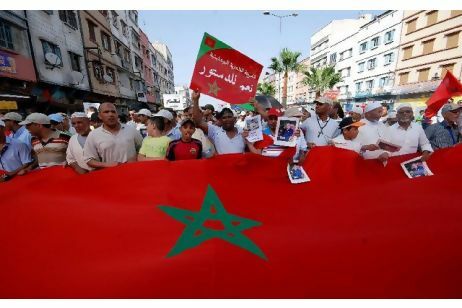 The People of Morocco have overwhelmingly approved a new constitution in a national referendum. It is King Mohammed VI’s response to calls for change, which have swept the whole ofNorth Africa. Since February, demonstrations have shaken this usually tranquil country. The King reacted swiftly on March 9, promising a new reforming constitution, giving greater power to the people. He has been true to his word. A committee, which included a Jewish member, drafted it in under three months. This was faster than in the rest of the Arab world, and achieved without bloodshed. The constitution aims to be all-inclusive. Its preamble proclaims the diversity of the nation, including “African, Berber, Andalusian, Hebrew and Mediterranean components”. As far as I am aware, no other Arab constitution explicitly recognises a Hebrew component in the national identity. What’s more, both the Moroccan monarchy and its people are far more accepting of Jews other Arab states. There have even been Jewish ministers, including Serge Berdugo, the former tourism minister and Secretary General of Moroccan Jews (roughly similar to President of the Board of Deputies) since 1988. André Azoulay, the ever-energetic and amiable Adviser to the King, has been instrumental in the country’s recent economic boom, and is a passionate advocate of “convivencia” (peaceful-coexistence in bothMoroccoand theHoly Land). Sadly, many Ashkenazim, especially Israelis, are unaware of all this. They even discourage visitors to this most attractive of countries on the unjustified grounds of poor security.Moroccois good to its Jews, and safer thanLondon. The overwhelming majority of Moroccan Jewry is likely, in my opinion, to have supported the constitution because it was backed by the king. They love the king, with good reason. The constitution anoints the winner of the largest vote in national elections as prime minister, and grants him new powers. Shortly after Mohammed VI proclaimed his wish that this major innovation be enacted,Jordan’s king, Abdullah II, announced that he would do the same.Moroccomay become a beacon to other Arab peoples who dream of achieving greater democracy through peaceful and gradual reforms. Thousands continue to protest peacefully, claiming that the king retains too much power under the new constitution. He remains the head of the armed forces and in charge of religious matters. But the overwhelming majority voted for it in their millions.